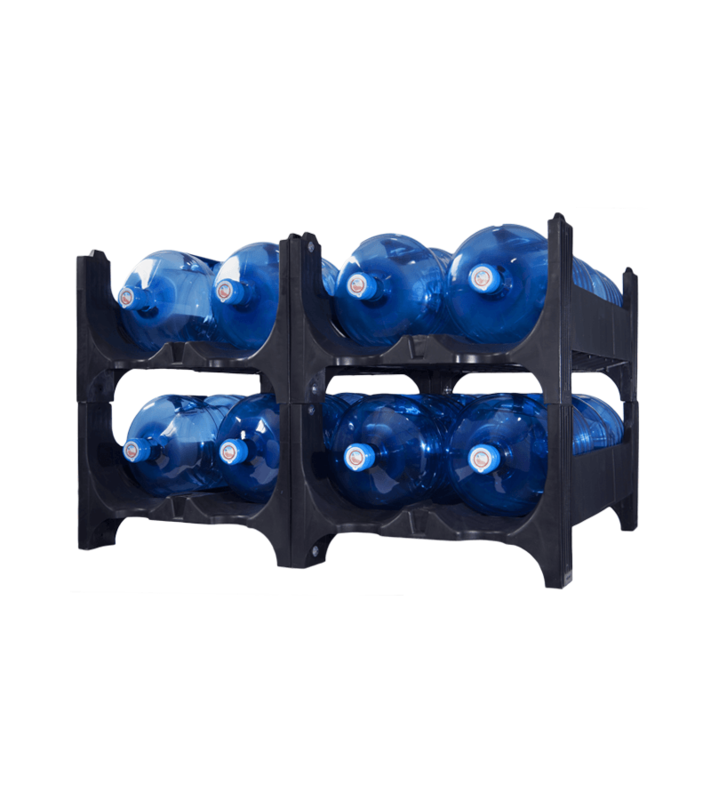 Plastic Racks are the perfect solution for springs and distributors regarding bottle storage and distribution. 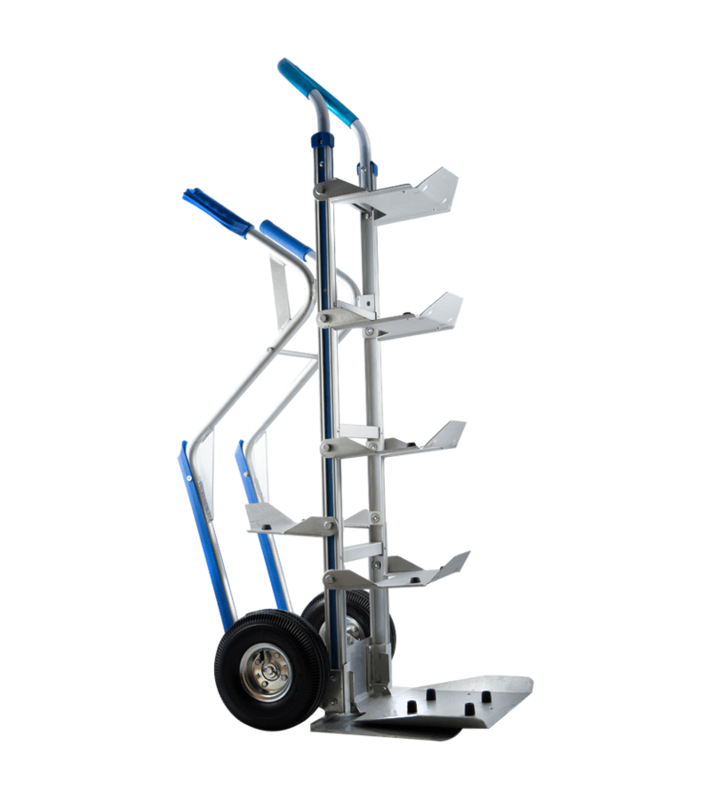 These Racks come in different units (equivalent to a level), which allows to optimize to the maximum the storage space of the bottles everywhere as well as to make home delivery much more profitable. Thanks to their simple design, you can also structure their modularity in an easy and versatile way (the racks can be stacked on each other). They have been redesigned to increase their resistance and lightness, and are made of recyclable plastic suitable for human consumption in compliance with international norms HACCP / ISO 22000: 2005. This plastic minimizes maintenance and lengthens the lifespan of the product. It is available in black, with a capacity of 8 to 12 units per Rack and as it is modular, you can stack from 12 to 20 racks in a single column. Undoubtedly, this is a product that really increases effectiveness and efficiency regarding the water bottle logistics, both full and empty of water, making thus your business more profitable.